Opportunity to own a Quizno's franchise in a busy San Francisco area. 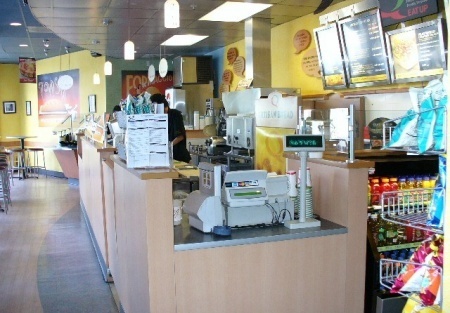 The equipment and tenant improvements make this restaurant a turn key restaurant at a very affordable price. The business needs a good owner operator to realize it's potential. The sellers don't have the time to manage the store and for all practical purposes is absentee run. The sellers need to sell the restaurant quickly, so present all reasonable offers for them to consider! New owners will incur franchise related startup costs and franchisee training is provided. Please click on the Confidentiality Agreement to obtain business address and review more photos. Rent is $3667 includes CAM Change. Quiznos - National Brand Franchise!